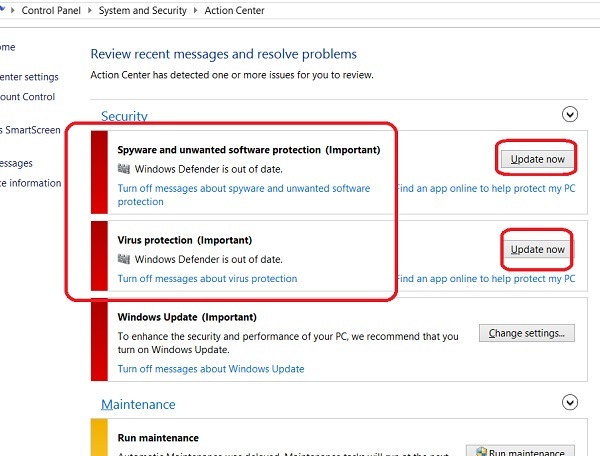 Why Windows Defender is showing as outdated in Action Center? Windows Defender is showing as outdated in Action Center because you haven't updated the virus definitions in Windows Defender for a long time. It is very important that you frequently update the virus definitions so that Windows Defender can detect newer viruses. Click the "Update now" button. You see virus definitions get downloaded.